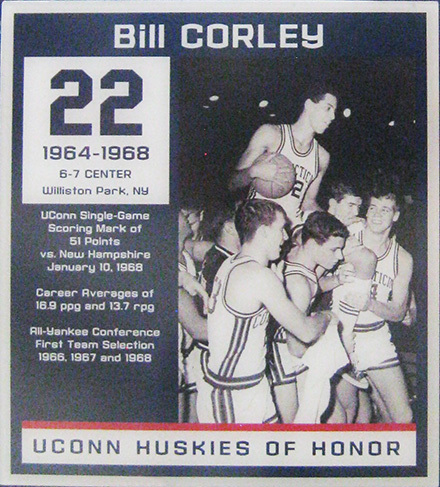 Bill Corley was a Center/Forward for the UConn Huskies from 1965-1968. He's been holding the UConn basketball single-game scoring record of 51 points for the past 50 years. He set the record against New Hampshire in January of 1968. Bill is a member of the UConn Basketball All-Century Team and of the Huskies of Honor Program. He averaged a "double-double" (16.9 points and 13.7 rebounds per game), in his three year varsity career and still ranks third all-time at UConn in career rebound average. Some of Bill's other accomplishments while at UConn were being a three-time All-Yankee Conference and All-New England selection and a two-time NABC (National Association of Basketball Coaches) All-District Team honoree. His career at UConn included a total of 1,219 points and 986 rebounds. Sadly, Bill passed away in 1999 at the very young age of 52. I spoke with his wife, Kathleen for this interview. Kathleen met Bill on a NYC subway when Bill was working for Mass Mutual as an insurance broker. Kathleen didn't know that Bill was a basketball player or about any of his great accomplishments at UConn. 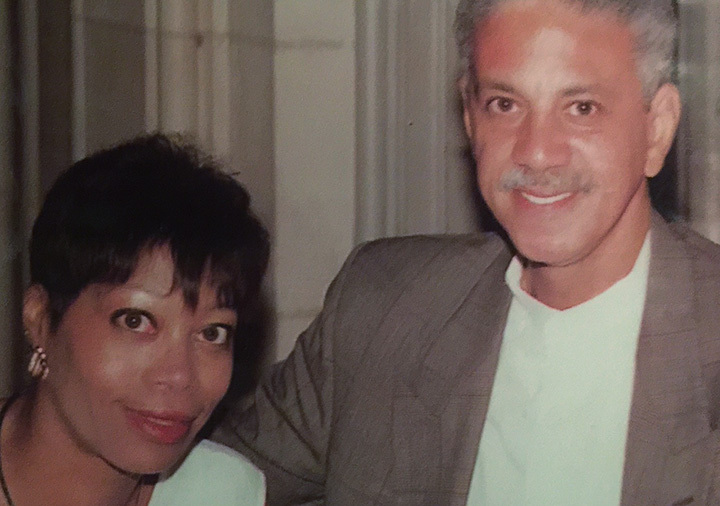 She learned of his basketball interest because on weekends he traveled for games as a member of the Harlem Wizards. Fortunately, Kathleen likes sports and traveled with Bill on a couple of his Wizards weekend games. After a few years, Bill left Mass Mutual and began a career with IBM (International Business Machines) for the next 25 years. He started in sales and moved up the ranks to Senior Program Manager of Global Channel Marketing. Kathleen said, "Employees of IBM joke that they work for IBM which jokingly means "I've been moved". We moved from New Jersey, to Atlanta, to Cincinnati, to Connecticut and back to Atlanta". I asked Kathleen if Bill shared any stories from his UConn days and she responded, "Bill was not a boastful person and he wasn't a storyteller." When I asked Kathleen if she thought his time at UConn had contributed to his lifestyle she said, "I think being in sports always contributes to your lifestyle. It teaches you discipline. Team sports teach you how to get along with people." Bill and Kathleen always watched UConn basketball through the years routing for them. "He used to talk about the coaches he had and how the game had changed." 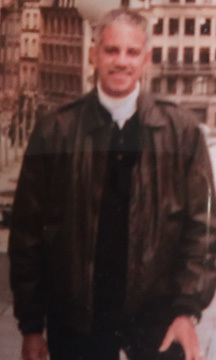 Bill was able to watch the UConn men win their first NCAA (National Collegiate Athletic Association) Championship in March 1999 before he passed away in July 1999. Kathleen and Bill have two children, William (BeJay) Jr. and Lauren and Kathleen has a step-daughter from Bill, Angela (Anji) all of which were involved with sports. Kathleen was a gymnast and volleyball player. Bill coached his kid's sports and when he gave up playing basketball himself, he turned to golf. "BeJay went to Mercer College on a full basketball scholarship where he played for three years." He had one year of eligibility left due to a foot injury and went to West Virginia Wesleyan College where he played basketball and earned his MBA. "BeJay is now age 30 and lives in San Francisco working for Bank of America as a Financial Analyst." Lauren went to Spelmen College in Atlanta, Georgia and her sport was tennis. "Lauren is age 33 and lives in Orlando, Florida where she works for The Walt Disney Company as a Guest Experience Manager". "Anji also lives in Florida and is a host for The Home Shopping Network. She also does a lot of modeling, commercials and also works for The Walt Disney Company." If you are a UConn basketball legend and haven’t been contacted yet to be a part of this website, please contact us so you can be included. If you know where we can find a UConn basketball legend that is not listed, please contact us and provide the contact information for us and hopefully they will soon be on the website.